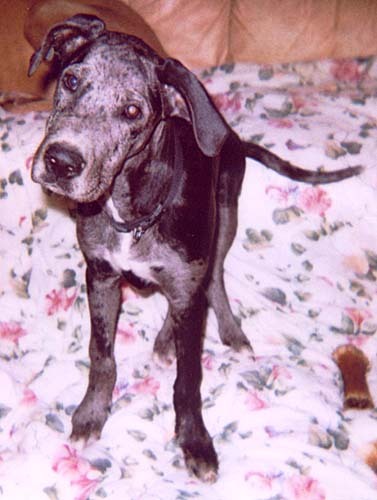 Zeke is a five month old blue merle male with natural ears. Owners moved and left him behind. Very sweet and loving. Gets along well with other dogs.